In August 1964, in the town of Jérémie (in the Southwest), army soldiers led by Col. Williams Regala, the lieutenants Jerome Abel and Sony Borge and the Tontons Macoutes Sanette Balmir and Ange Bomtemps killed 27 men, women and children, almost all mulattos. The Tontons Macoutes (which means ‘bogeymen’) were militiamen of the dictator François Duvalier, nicknamed ‘Papa Doc’, who ruled the country from 1957 to 1971. The name, which could be translated as ‘Daddy Doctor’, referred to the your profession, doctor. All authors performed well knew the families. Several families of Jérémie (the Sansericq, Drouin and Villedrouin) were completely eliminated. A four year old, Stéphane Sansericq, was tortured in front of their relatives before being killed. The Tontons Macoutes Sony Borges and Gérard Brunache put out their cigarettes in the eyes of the child was yet alive. These killings, which became known as ‘Massacre des Vêpres jérémiennes’, were ordered by Papa Doc as part of reprisals against a guerrilla group in formation known as Jeune Haiti (‘Young Haiti’) who had contributed in the region, although none of them were in Jérémie. Two leaders, Marcel Numa and Louis Drouin, were captured, tortured and killed in Port-au-Prince, on the street, across from a cemetery in November 1964. Duvalier demanded the presence of government officials, the private sector, students of all schools (preschool, primary and secondary) and students from various faculties at the site of executions. Popular orchestras were forced to go to the site to play music. Free drinks were distributed. The joined bodies were decomposed and removed only after some days. The massacre also had ideological and racial dimensions. Duvalier had a political ideology known as noirisme (“negrismo”), which allegedly aimed to promote the black masses against “mulatto elite”. According to Matthew J. Smith, the negrismo is an ideology that advocates “full control of the state apparatus by black representatives of the working classes”. Therefore, the Duvalier dictatorship had targeted mulatto sectors of society, seen as prone to political opposition to blacks, but also as illegitimate members of the Haitian nation. During Haiti’s independence process, there was an intense racial conflict. French colonists and white Haitians were massacred. The Constitution of Haiti 1805, the self-proclaimed Emperor Jean-Jacques Dessalines, who was hostile to mulattoes, allowed only to blacks being landowners. After his death, the country was divided, with the north being governed by a black king, Henri Chistophe, and the south being ruled by a mulatto President Alexandre Pétion. None of those responsible for the killings and none of the authors of ‘Massacre des Vêpres jérémiennes’ was brought to justice. In 1986, following the departure of Jean-Claude Duvalier, the son and successor of François Duvalier, Colonel Regala, who gave the order to execute the Sansericq family, became a member of the ruling junta. During Blackist Duvalier dictatorship, was undertaken a discrimination policy against Mulatto minority of the country. In the picture, Louis Drouin tied for execution. In August 1964, in the town of Jérémie (in the Southwest), Armed Forces of Haiti soldiers led by Col. Williams Regala, two lieutenants and two tontons macoutes killed 27 men, women and children, almost all Mulattoes (persons of mixed White and Black ancestry). The tontons macoutes (which means ‘bogeymen’) were militiamen of the dictator François Duvalier, nicknamed ‘Papa Doc’, who ruled the country from 1957 to 1971. The name, which could be translated as ‘Daddy Doctor’, referred to the your profession, medical doctor. All authors well knew the families. Several families of Jérémie (the Sansericq, Drouin and Villedrouin) were completely eliminated. A four year old, Stéphane Sansericq, was tortured in front of their relatives before being killed. These killings, which became known as Massacre des Vêpres jérémiennes, were ordered by Papa Doc as part of reprisals against a guerrilla group in formation known as Jeune Haiti (Young Haiti) who had arrived in the region, although none of them were in Jérémie. 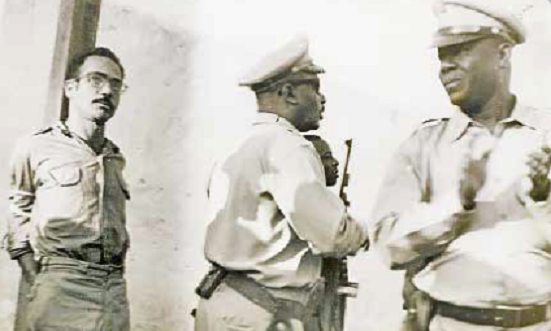 Two leaders, Marcel Numa and Louis Drouin, were captured, tortured and killed in Port-au-Prince, on the street, at the front of a cemetery in November 1964. Duvalier demanded the presence of government officials, the private sector, students of all schools (preschool, primary and secondary) and students from various faculties at the site of executions. Popular orchestras were forced to go to the site to play music. Free drinks were distributed. The joined bodies were decomposed and removed only after some days. The massacre also had ideological and racial dimensions. Duvalier had a political ideology known as noirisme (literaly “Blackism”), which allegedly aimed to promote the Black masses against “Mulatto elite”. According to Matthew J. Smith, the noirisme was an ideology “which advocated total control of the state apparatus by black representatives of the popular classes”. During Haiti’s independence process, there was an intense racial conflict. French colonists and white Haitians were massacred. In the Constitution of Haiti of 1805, the self-proclaimed Emperor Jean-Jacques Dessalines, who was hostile to Mulattoes, provided that all Haitians would be considered Black and forbade whites had property in the country. After his mysterious murder, the country was divided, with the north being governed by a Black, the King Henri Chistophe, and the south being ruled by a mulatto, the President Alexandre Pétion. None of those responsible for the killings and none of the authors of Massacre des Vêpres jérémiennes was brought to justice. In 1986, following the departure of Jean-Claude Duvalier, the son and successor of François Duvalier, Colonel Regala, who gave the order to execute the Sansericq family, became a member of the ruling junta. With informations of Haiti: A Shattered Nation, by Elizabeth Abbott, 1988. 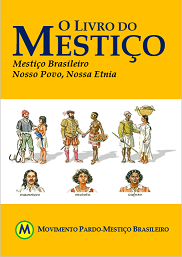 Posted in Português, Pretismo | Negrismo | Transnegrismo.